In the early 1950s, there were emerging scientific data about the detrimental effects smoking had on health. Marlboro originally promoted as woman’s cigarette in 1924, started to sell filtered cigarettes under the impression that it was safer – just like every other competitor. However, based on marketing research, men were slow to take up filtered cigarettes as they were seen as feminine, particularly Marlboro. While other competitors tried to focus on the technology behind the filters, Marlboro took a different approach – one that increased sales by 300% in two years, grew market share from less than 1% to the fourth best selling brand and became one of the 20th century most famous ad campaign. Leo Burnett, the advertiser tasked to reposition Marlboro as a men’s cigarette completely ignored health concerns or health claims of filtered cigarettes. 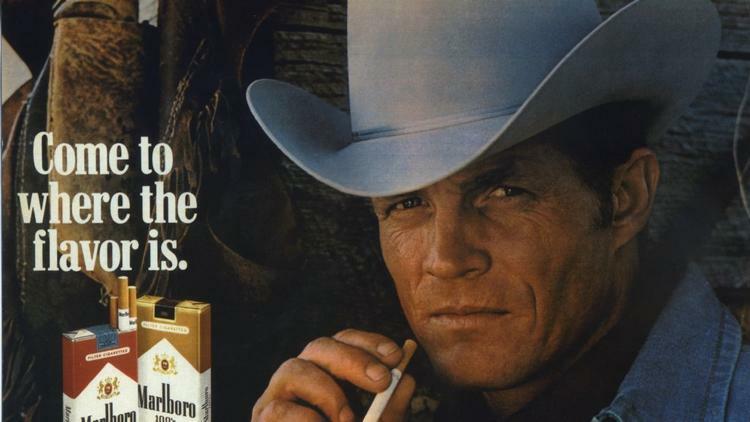 Instead, he created a masculine image of New Marlboro by featuring a manly figure: Cowboy. The image of a cowboy puffing away filtered cigarettes eliminated the feminine shadow it once had. Thus, Marlboro Man was born, an iconic figure that was synonymous with tough, rugged, self-sufficient and hard-working. It was considered the most successful tobacco advertising campaign ever. By 1972, Marlboro Man appeal was so strong that it not only put Marlboro at the top of the tobacco industry, it also led to heavy imitation by other competitors. Later, Marlboro Man became a classic example of guerrilla/attack marketing which utilises low-cost unconventional marketing tactics that yielded maximum results. On a darker note, this campaign not only shows how much influence a brand has on our consumption behaviour through mass marketing, it also revealed how willingly/knowingly we kill ourselves just to maintain certain desirable image we want others to see. Do Vanity kill? Most certainly. P.S : At least 4 actors who played the iconic cowboy died of smoking-related illnesses. P.P.S : In case you are wondering if the campaign is still running, it ended in 1998 when tobacco advertisements were banned.